Click the image above for more information about LinkedIn Learning. Click the image above for more information about the upcoming Job & Career Fair. Meet our hardworking, dedicated, enthusiastic employees! 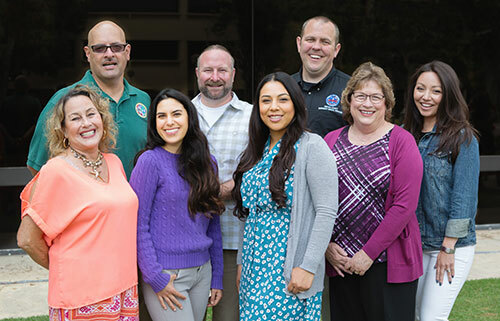 Here are some reasons why they love working for the County of Ventura. Having Grown up in Ventura county, I personally know what wonderful place it is to raise a family. I love working for the County of Ventura because I feel that I am able to make a positive impact in my community and I am proud to work for a respected agency. I chose this career due to my passion for serving others and I enjoy being a part of such a big family. I love coming to the beautiful Ventura County Government Center to a very interesting job that allows me to serve the public and receive great benefits as well. I like living here because there is no extreme weather. I enjoy the daily interaction with the public and with the many friends I have made in my department and other agencies through out the years. I enjoy collaborating with a diverse group of people that are friendly and work together to provide back to their community. I enjoy being able to help the residents in my community live happier and healthier lives. Additionally, I feel grateful to work for an organization that offers opportunities for growth; I started as an intern in Ambulatory Care Operations 7 years ago and was recently promoted to Manager of Operations for Ambulatory Care Administration. I appreciate the support I have received throughout my learning and advancement. Providing public service as the Retiree Coordinator is very rewarding. It allows me to assist and guide our County employees and current retirees, to ensure their needs are met in regards to post-retirement health benefits. Ventura County holds a special place in my heart. I was raised in Ventura and have moved out of County a number of times – even as far as to move abroad – but there is always something that brings me back. We are very fortunate to live in such a beautiful area that has it all – the ocean, mountains, & agriculture. I really enjoy working for the VC Probation Agency because The variety of assignments makes it unique and rewarding with opportunities to effect positive changes in both our adult and juvenile populations. Furthermore, I really like working in Ventura County because as an avid outdoorsman, this County is unique as it has many nearby beaches, deep-sea fishing charters, lakes, hiking trails, and campsites to choose from. What I love most about working for the County of Ventura is not only the many opportunities that I have had to advance within my department, but also the opportunities to develop my character and continue to grow as a person. I love being part of an Agency that values teamwork, transparency, morals and integrity. Besides loving my job of being a firefighter, I come to work every day for the people that I work with and to help the great people of the community. I don't just ``like`` working for the Ventura County Health Care Agency. I LOVE it! Here, I am able to use every skill I was taught in nursing school. I get to collaborate with some of the best doctors in the nation and help make decisions on how to care for each of my patients as individuals. 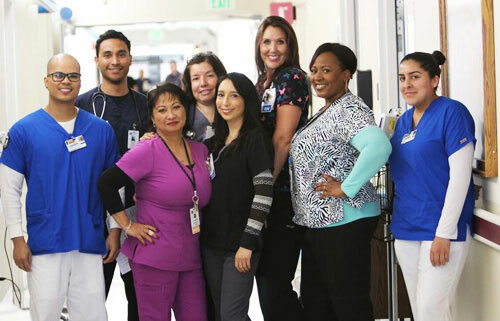 At VCMC, nurse equals friend, co-worker, professional, autonomous, independent, creative, team member, and simply put, extraordinary. Having been born and raised in WI, moving to Ventura County has been the best decision I've made. I can truly say this is paradise. I became a probation officer because I wanted to make a difference in people’s lives and in the community that I live and work in. I like working for IT Services because there is always new challenges that allow me to use my skills. These challenges also provide an opportunity to learn something new every day, which is an essential part of my job, since technology is always evolving. Ventura County is a great place to live and work. From the mountains to the ocean we enjoy one of the best climates in the world. Having served in the United States Coast Guard, the County of Ventura Public Works Department allows me to have the kind of structure I like while being able to serve my community. Best job I ever had! I love working for the Sheriff’s Office for many reasons. I have the opportunity to work a variety of interesting and challenging cases. I also enjoy working in a team-oriented environment with knowledgeable and highly motivated people. The planning, resources and commitment to the people, along with all the beautiful places to experience, makes Ventura County an ideal place to live and thrive. Every day that I come to work and I see the greenbelts around the cities, the rustic mountains on the horizon, and the unique character of the county’s communities, I am reminded of what a pleasure it is to serve, protect, and enhance the quality of life and natural resources of our unique community. It's my home away from home. It's a family atmosphere. The people are wonderful. I love the variety. Every day is different and I get to interact with such a varied groups/people. It means I am always learning. I work in training and organizational development and every day I get the opportunity to do what I do best. I help people at all levels of the County. At every level of leadership, I get to make a difference by equipping people to reach their full potential. I work with so many other smart and inspiring people that are also committed to help others expand their influence in order to reach the County of Ventura’s mission. Working in the County Executive Office is a truly rewarding experience, as the work we do is vital to the community. I enjoy working alongside of people who strive to make our community better. 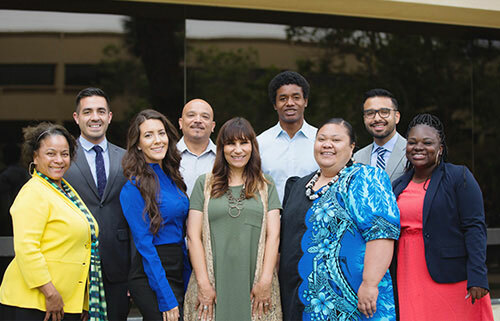 Having lived and worked in many places across the globe, the County of Ventura has become my permanent home for its incredible diversity and has allowed for a career working side by side with some of the most talented and competent people who share a passion for improving our community. I enjoy going to work every day, even Mondays! 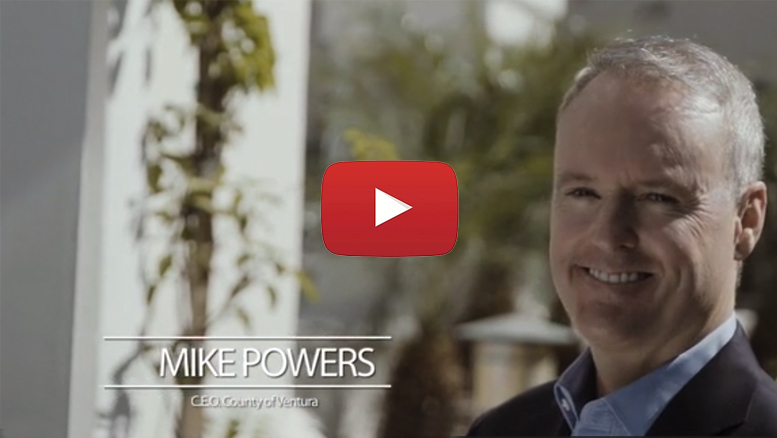 My career with the County of Ventura has allowed me to grow both professionally, and as a person. I have also met people who will be lifelong friends. I appreciate how the County of Ventura encourages continuous development and provides many avenues for career advancement. Working for VCERA is very rewarding as I have the pleasure of meeting and assisting colleagues from various departments. I like working for the County of Ventura because I feel like I am giving back/helping the community. Working for GSA/Fleet our customers are other County employees, but without their vehicles they would not be able to serve the citizens of Ventura County, so we are helping others to serve the community. I am proud to say that I form part of an organization, such as the Department of Child Support Services, who promotes the well-being of the community and has also given me the opportunity to help families grow and work toward a sustainable, yet brighter future! I am a Ventura County resident, working for the Ventura County Behavioral Health Department allows me to give back to the community. My job is extremely rewarding. The great sense of community and the exceptional public schools make this county an optimal place to raise a family. The benefits and retirement plans, as well as the commitment by the County of Ventura to the overall health and wellbeing of its employees, make it a wonderful place to work. Working for the County of Ventura offers job security, availability to promote both departmentally and County wide, and great benefits. I particularly love the Wellness Program. I love that my place of employment encourages and provides the means to a healthy lifestyle. 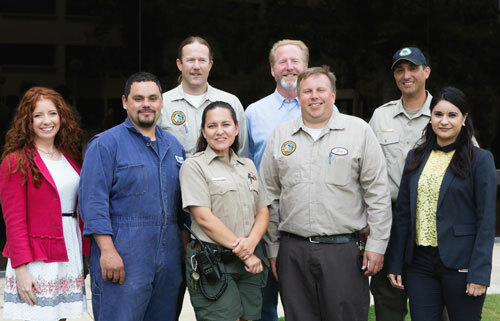 I grew up in Ventura County and I am very fortunate to be working alongside a great team of people who have dedicated their lives to the stewardship of our County Parks. The County of Ventura is a great environment to work in and I enjoy working at the Airports department. CEO-IT offers both a challenging and stimulating work environment that helps to expand my knowledge of all things IT related. CEO-IT fosters a team environment, leveraging the collaboration of all staff to manage projects and achieve the goals that our customers request. I enjoy working here because I love helping animals find their forever home. I like working for the Ventura County Library System because I’m able to serve a diverse and engaged population in a beautiful setting. Each day takes me from the ocean to the mountains and back, and in between I promote literacy and culture in the community while helping our customers find whatever it is that they’re looking for. I love working as a Weights and Measures Inspector and serving the residents of Ventura County. My inspections protect buyers and sellers, ensuring honesty and integrity in everyday business transactions. I believe that communication and collaboration are the foundation of success. My job provides me an opportunity work with talented individuals, and identify technology solutions based on customer business needs and requirements. I also enjoy the challenge, comradery, and contribution IT Services makes to the continued success of County departments and agencies. I am proud to work for the County of Ventura CEO’s office because I can actively work to positively impact the quality of life for my friends and neighbors. Working for the County of Ventura, Public Works Agency gives me a sense of satisfaction that I am providing a service to my community. My co-workers have become like family, which makes every day enjoyable. Living in my dream home in the peaceful beauty of Simi Valley is only topped by landing my dream job this year with CEO HR-Training and Development where I now live my dream of public service and my passion for educating and empowering our workforce. I really enjoy the positive culture that is present in Ventura County and the diverse group of individuals that work here. Ventura County has so much to offer and is in the perfect location. We have the coast and the mountains at our doorstep and some of the best farmers markets in the area. I began working for the County of Ventura in October of 2013, which was truly like being welcomed into a second family. I have lived in the diverse and beautiful County of Ventura my entire life, and the Ventura County Sheriff’s Office has given me an opportunity to give back to my community by sharing my knowledge with others on how to keep their families safe. I live in Ventura County by choice. The weather is beautiful and is almost always a cool 72 degrees. The County is such a wonderful place to work and they ensure its employees receive competitive salary and benefits. I will be here until I retire. Ventura County is not only beautiful, it is also an amazing family friendly community. It is also wonderful that health and wellness is encouraged and engrained into county culture. 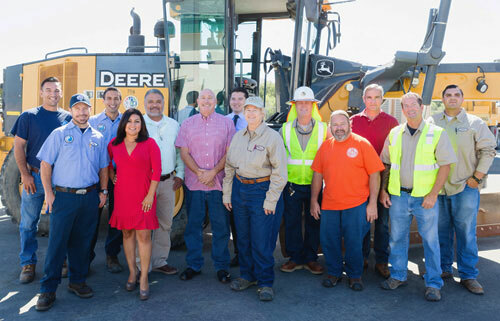 I enjoy working for Ventura County because it offers many benefits; the Public Works Agency gives me great opportunity for advancement and most of all I am proud of giving back to my community. This job allows me to do that. Working for the County of Ventura has been one of the most rewarding experiences of my life. In 2007, I joined CEO-Human Resources as the front desk receptionist progressively promoting to my current position as a Human Resources Analyst in Classification and Compensation. I can’t express enough the many opportunities which helped me grow in my career. I work in Training and Development as part of CEO Human Resources. The County of Ventura is a learning organization and provides lots of professional development opportunities. We have a focus on delivering excellence and process improvement. I have worked with many public organizations as a consultant and the County of Ventura is in the A team of vital organizations. I like working for the County of Ventura because of the opportunities to go out and serve and meet the community. The County fosters a culture of being involved with our communities, as well as supporting and listening to the people we serve, that’s what makes working for the County of Ventura so rewarding. 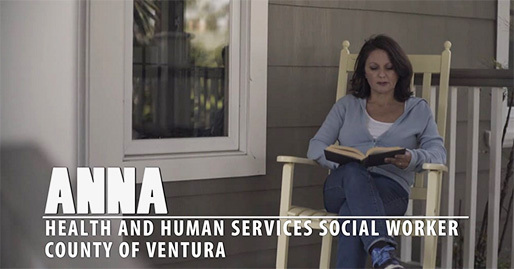 I like working for the County of Ventura Human Services Agency because I’m given the opportunity to positively impact the lives of our customers by connecting them to resources. The great weather and location of Ventura County make it an ideal place to live, while the small town atmosphere allow for a great relationship with our partnering agencies and our clients, make Ventura County and HSA a great place to work. We earn very valuable pension benefits as county employees, and as a retirement specialist, I really enjoy meeting other county workers and helping them cross the finish line to retirement. I also feel blessed to be raising my eight-year-old son in such a beautiful county. I love that I get to meet every new employee that comes through our doors and be a part of those crucial first days of employment. I’m able to do what I love all while helping set the people I work with up for success! I love working for IT Services because they have an innovative and driven upper management team, talented and friendly staff, and provide a variety of solutions to all county agencies. Each day brings different and fun challenges, which keeps me motivated to come into work and learn new things. From day one, I was impressed with the creative, innovative and enthusiastic team at the Resource Management Agency (RMA). 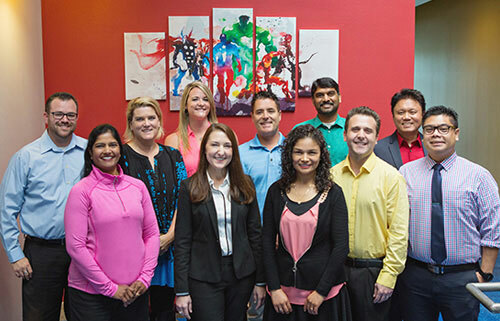 RMA offers a work culture that provides a platform for employees to learn, grow and meet their professional goals while contributing to the overall success of our community. The County of Ventura is truly the best organization I’ve had the opportunity to be a part of. I like working for Ventura County Library System because of our goal to give our community members the opportunity to Explore, Discover, and Connect to the things around them that matter including recreational reading and life-long learning. I like working for the County of Ventura because of the unlimited opportunities available. I like working for the Public Works Department knowing we are here to keep our infrastructure operational, and are first responders willing to help others if a disaster should occur. Besides having great coworkers and works schedule, I really like the public outreach and the involvement in our community. Public works week is just an example of that. I love working for the Ventura County Sheriff’s Office because there are so many different types of assignments you can work in. 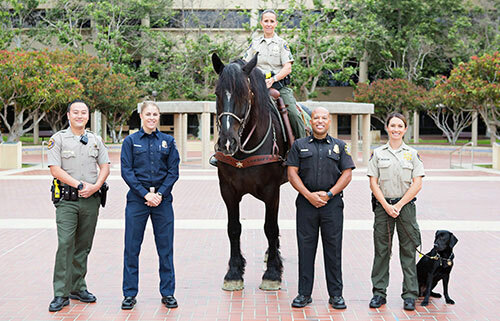 One of mine is on the mounted unit with my horse Goliath. Goliath is the heaviest line of defense the sheriff office has that is living. I like working for the County of Ventura because I love being a part of an organization that does so many good things for the community that I live in. Working for the county allows me help the community develop their physical and emotional strength. It gives me peace of mind knowing I’m giving individuals the tools to improve the quality of their lives through exercise. Ventura County has always been my home and I associate the area with kindness, warmth and consideration. If you are seeking a career where you will never run out of work, work here! We are the ``behind the scenes`` first responders who's job it is to keep the public safe. I have been to almost every state in the union and Ventura ranks right up at the best places ever. I like working for the County of Ventura GSA Fleet because it gives me the opportunity to help in making Ventura County’s vehicles a safe and better place to live. I enjoy making myself available as a resource to other employees who share the same love I have for the Ventura County community. Ventura County offers a laid-back, eclectic vibe with stunning scenery whether you are taking a stroll on the pier or hiking through the scenic parks full of wildflowers. I like working for the County of Ventura because I like to help people and the County of Ventura is my conduit to serve the public. Every day is different as I get to see really cool aircrafts. As a Park Ranger, I am privileged to work in the beautiful environment of Ventura while on patrol in our County Parks. I received employee of the year because the General Services Agency encourages new talent and mentors your individual skills. I feel I am constantly learning and being challenged by Ventura County through its professional training and sponsorship of the wellness program like Yoga on Fridays. I thoroughly enjoy and am grateful for the team atmosphere promoted here at the County. Working as a Clinic Administrator for Ventura County Behavioral Health is a dynamic and rewarding position. Ventura County is truly a family community with lots of great schools, family based activities and community events to enjoy all year round. The Count of Ventura is a beautiful place. I greatly enjoy working for the County because I take great pride in being part of the continual development which draws the desire of many to live here. I like working for GSA for its diversity and vision to promote change in the workforce. I live in Ventura County for its beautiful weather, location and culture. I enjoy running heavy equipment as it has proven to be challenging and really rewarding. I enjoy providing valuable services to my community. I enjoy working at Child Welfare Subsystem because I’m given so much opportunity to grow professionally, able to work with families and children in need and collaborate with other professionals. I like working for the library because I like helping people. Every day, I get the opportunity to help someone new to find resources that enrich their lives. And I'm really lucky to work with a group of smart, caring people. I love coming to work. I like working for the County of Ventura and GSA because they are flexible when I need time off and give me freedom to manage most of my daily duties ;There is a steady variety of work that challenges me and opportunities to better my career. I like living in Ventura being so close to the mountains and ocean. I like working for RMA Code Compliance because no two cases are ever the same. Working for the County of Ventura Water and Sanitation department is a great experience because its an exciting environment that is challenging and rewarding. What I enjoy most about working for Ventura County is the support, encouragement, and positive interactions my coworkers and I engage in on a daily basis. The family environment in our clinic, as well as, the fulfillment I receive from seeing growth in my clients provide moments of gratitude and joy in each workday. I enjoy working for IT Services because it can be extremely rewarding when working to implement a new service successfully that enables our partner organizations to conduct their business more effectively to County constituents. It feels good knowing that the services we provide impact the lives of many Ventura County residents in a positive way. I relocated to Ventura County to take a job with the Resource Management Agency (RMA). The County’s commitment to a healthy work-life balance for employees impressed me. The County’s ability to recognize that fostering a healthy work-life balance is not only good for employees but also good for business weighed heavily in my decision to accept my position in RMA. I like working in the outdoors and being part of something that makes a difference where I can watch the wildlife return to the area. Working for the Public Works department is one of the greatest accomplishments of my life. The best part is that I feel like I am a part of a family, there is so much support and resources for employees; we push each other to succeed. Working for Building & Safety has been a great place for me to help ensure the safety of the community , while expanding my skills and developing my career both personally and professionally. Working for the Ventura County EMS Agency has allowed me to utilize my background as a Paramedic and emergency manager in new and exciting ways, ranging from program management to disaster response. I love living in Ventura County because of the vibrant agricultural community and accessibility to purchase farm to table. I enjoy working for the County Executive Office because the culture encourages employee involvement and fosters learning development through employee groups and training opportunities. The VCAAA has good benefits and management cares about their employees. The County has great weather with many recreational activities options at the beach, lake and mountains. My work in the Environmental Health Division is interesting, challenging, and beneficial to the Ventura County community. I enjoy living in Ventura County because there are a lot of hiking and biking trails, great restaurants, and beautiful scenery. 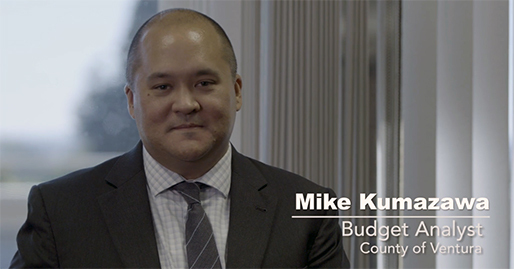 Working for the Human Services Agency of Ventura County has afforded me the opportunity to grow in my chosen career; the Agency has been supportive of my goals and offers competitive benefits and salary. I like working for the Public Works Department at the County of Ventura for its structure, security and flexibility. Working in Public Works allows me to make improvements to my community. Ventura County promotes the values of public service and accountability and adheres to the civil service principles of employment selection based on qualification and merit. We value a diverse workforce that reflects our community.